The same goes for making an impression online. Research has shown that online visitors form a first impression of your brand in less than two-tenths of a second. In only 2.6 seconds, that visitor’s eyes focus to reinforce that first impression. Knowing this, it’s important to use any and every opportunity to present yourself in a positive light online, especially through email communications. One such opportunity that is often overlooked is email signatures. The best email signatures go beyond just your name and contact information by showcasing you and showing off your brand. So, what are some great email signature examples? We’ve laid out a bunch for, plus some tips for success. The key elements of a professional email signature include your name, title, company and phone number. You may also include an address and your company’s website. But don’t include your email address—that’s redundant and unnecessary. To add visual interest, even to a basic email signature, try using 1-2 colors drawn from your brand, logo or any graphical elements you might use. More often than not, more than two colors start to clash and become distracting, so unless you have a particularly good eye for design, stick with one or two brand colors. We’ve all seen those email signatures that include the whole kitchen sink and tell someone’s entire life story. You know, like these? This is clearly one of the bad email signature examples. When it comes to deciding what information you should include, remember less is more. The best email signatures are about 5 lines of text, give or take. With the right tech know-how, or a useful email signature generator, you can easily add a photo to give your email signature more impact, personality and memorability. Plus, the imagery will draw attention and add visual interest. Another option instead of a photo would be to include your company’s logo. While it is possible to use both a photo and a logo, most of the time this makes your signature too busy and confusion. You’re best to choose just one. Your email signature format will depend on the size and orientation of your logo. Landscape logos work best in a stacked email signature, where as circular, square, or portrait logos can be placed to the right or left of the text, if desired. The best email signatures use hierarchy of design to balance content, type, and imagery. 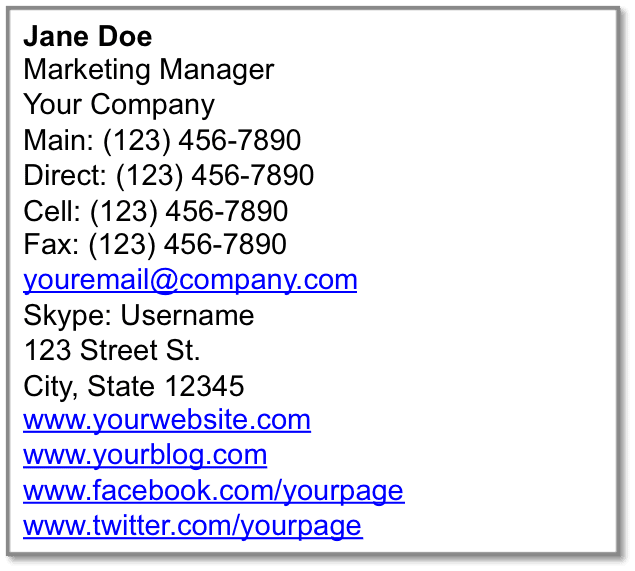 Use dividers or white space where needed to separate different elements of the email signature and direct the reader’s eyes. Also, bold, capped, and colored type attract the eye first, so weight the most important information in one of these ways. Do you or your company have well-managed social media profiles? Why not use your email signature as another way to drive traffic to these platforms? Link to your social media channels using icons representing each site’s logo (rather than a boring hyperlinked URL). Beyond social media icons, a formal email signature can be used to drive other engagements from your email recipients. For example, you could link to your latest blog post or encourage sign-ups to your email newsletter. 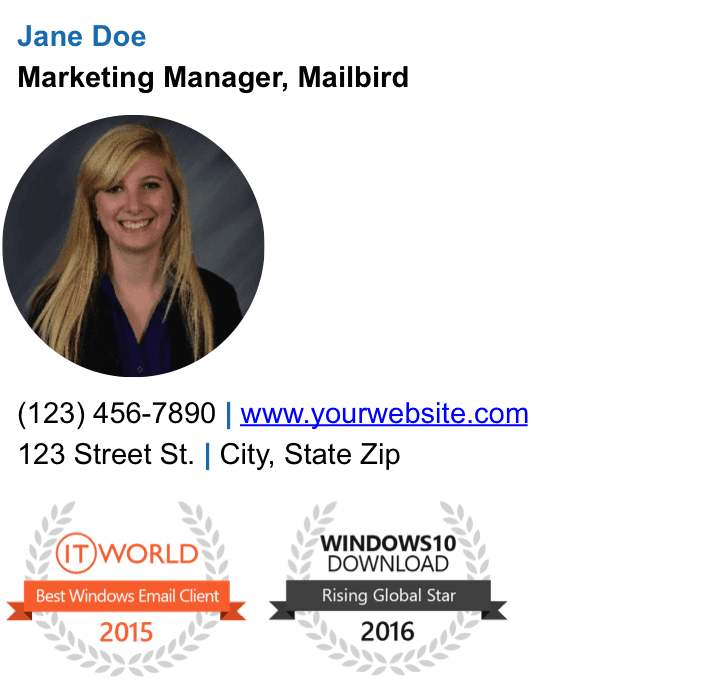 Some companies like to use their email signature as an opportunity to share announcements, such as awards or designations won. You can also list or include badges for certifications received or courses completed. Showing your expertise in your email signature emanates professionalism. And finally, when choosing your email signature format, keep in mind that most people check their email on their phone. Pick a design and graphic elements ideal for mobile. If your logo has small text, consider only using the parts that translate well onto small screens. If you’re including links or icons, ensure they’re space out enough for people to click with their fingers. Our friends at NEWOLDSTAMP can help you create great email signatures super easy. Just follow the link and choose the template you feel fits your needs most. NEWOLDSTAMP has tested and confirmed to work seamlessly with Mailbird. We are super happy to confirm that you can now also use ZippySig with Mailbird. ZippySig is an easy to use email signature generator that allows you to create email signatures for your whole team. With plenty of customizable templates, you can create some pretty good looking email signatures. 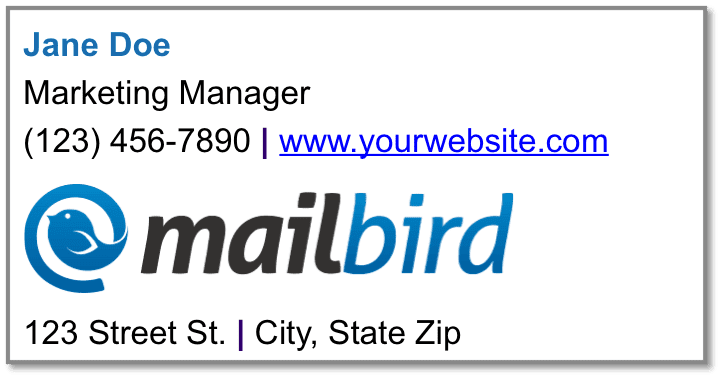 ZippySig has been extensively tested to make sure it is compatible with Mailbird and offers a 7-day free trial with full access to all of the features. You can also give Formswift a try, that you can enable from within Mailbird. Formswift offers three layouts for you to choose from. Please feel free to reach out to our support team should you have any questions. To find the right balance of content, imagery, and design, think about what truly matters to you and your brand and prioritize. Trying to jam all of these ideas into one signature will just overwhelm your emails. Remember, less is more, keep it simple and be professional—hopefully, one of these email signature examples will inspire you to build an interesting one! What are some of the best email signatures you’ve seen? What did you like about them? Let us know below! Editor’s Note: This post was originally published in December 2016 and has been revamped and updated for accuracy. 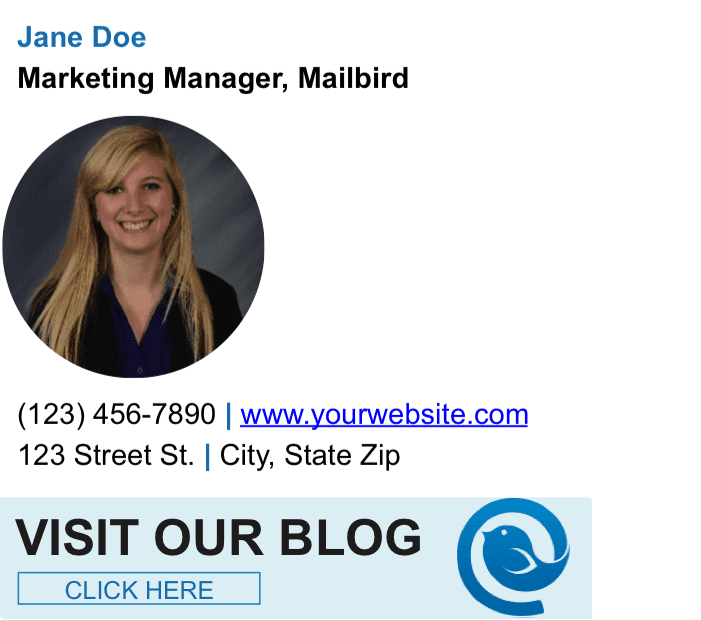 12 thoughts on "10 Examples of Business Email Signatures 2019"
Love all of these tips! It really shows a lot of GREAT examples of fabulous email signatures.Thank you for bonus. I’ve tried Newoldstamp. It’s pretty easy to use. I’ve created 3 perfect email signatures for myself and my friends. Thanks for your feedback Adam, we are happy it helped. Have a great day and please let us know should you have any questions. Hope it might be useful to some of your users as well! 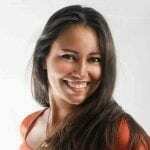 * An email signature is also a social networking tool, like a business card. * An email signature with the relevant information is your short biography. If you’re looking to use dynamic email signature campaigns or apply signatures to everyone in your company in a few clicks, check out https://www.sigstr.com – There’s even analytics on views/clicks for your email signatures. I believe it is fair to simply put Sales & Technical – look up roles you have and to put both in the signature is fine. How do you create the large blue vertical line next to the bird logo, that separates the logo and the text? Hello Jerome, can you please submit us a request at [email protected]?